Ace Combat 7: Skies Unknown (game, 2019). A combat flight action video game by BANDAI NAMCO Entertainment Inc./Bandai Namco Games. Developed by BANDAI NAMCO Entertainment, BANDAI NAMCO Studio / Project Aces, BANDAI NAMCO Studios Inc., Bandai Namco Games. Official Trailer. Ace Combat 7: Skies Unknown is a combat flight action video game by BANDAI NAMCO Entertainment Inc. and Bandai Namco Games, developed by BANDAI NAMCO Studio / Project Aces, BANDAI NAMCO Entertainment, BANDAI NAMCO Studios Inc. and Bandai Namco Games. 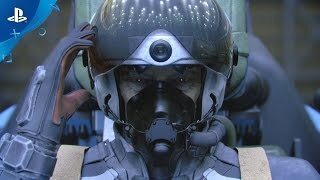 Ace Combat 7: Skies Unknown - PlayStation Experience 2016 Trailer | PS4, PS VR. The game takes place in the same fictional universe as the previous numbered games in the series. Following the events of Ace Combat 04 and Ace Combat 5, the Osean Federation brokered peace between the military power of Erusea and the rest of the Usean continent. The IUN was formed to maintain peace across the Usean continent, while former President Vincent Harling orders a space elevator funded off the Erusean coast in order to revitalize the continent's economy. However, the space elevator creates resentment among the Eruseans, who see it as unnecessary Osean intervention. The players control the game's silent protagonist, callsign "Trigger", an Osean pilot. To further unfold the story, however, the game frequently plays audio communications (mostly Erusean radio chatter) that Trigger cannot hear. The game's frame story is told through pre-rendered cutscenes played between missions, primarily focused around the point of view of two biased characters: Avril Mead, a civilian aircraft mechanic who was caught in the crossfire of the war's opening salvoes and forced to work in an Osean penal military unit; and Doctor Schroeder, the game's primary antagonist, who masterminded the conflict. The game also features a several other voiced characters with their own small side stories, including Princess Rosa Cosette D'Elise, General Labarthe, Major McOnie as well as pilots of the Mage, Golem, Spare, Strider, Cyclops and Sol squadrons. As the game progresses, the characters' stories intersect with each other and with Trigger's story to reveal the true nature behind the war. 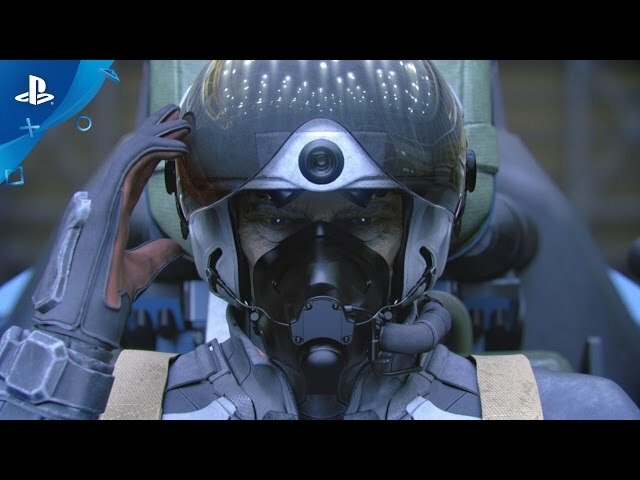 Ace Combat 7: Skies Unknown was scheduled to be released by BANDAI NAMCO Entertainment Inc. and Bandai Namco Games on January 18, 2019, on January 31, 2019 and on February 1, 2019.